ExpertSpeak: Are you locally relevant? The secret of succeeding in a global environment is finding strength in diversity. To leverage a country’s talent and get maximum out of the campaigns, global offices should not just hand instructions to the regional office but allow them to apply their region knowledge as they know their market, consumers and environment better. Usually, to most professionals, a sure sign of having got somewhere, is a job heading the country function in a global organization. The first few years of my career, I longed to belong to that tribe. The work culture, the offices, the people who one worked with all seemed so much more desirable. Oh to be able to say “I had calls with the US through the night, and didn’t get a wink of sleep”. Yes even that made me swell with envy and longing! Till I got there myself…. I wish, someone somewhere had warned me of the challenges too… lack of sleep being the foremost among them! One issue that many global organizations grapple with is how to make global issues tie in with local needs, how to streamline global policies and yet keep things locally relevant. I was recently speaking with a friend who is now with a large global pharma company. He couldn’t for the life of him understand why an ad campaign should keep me so busy. He said his global team sent him the market research that they’d got done, the creatives for the campaign that they’d created, and also the media plan!! He only needed to execute the plans in the country. I was amazed at this! How and why would they do that? They had a perfectly capable resource in the country, who understood the local market and nuances better than them. Who was probably one of their target audience, who knew media like that back of his hands, but they would not let go! What a complete waste of this guy’s talent, and of the global teams time. I wonder sometimes, is it a question of credibility, of trust, of respect for the local team? Why would they not be a key part of the planning and strategy? Why is it so difficult to let them take over? I had once consulted with a very large fast food chain in India. The global Foundation had taken the decision to fund a large children’s hospital in some remote corner of Delhi. It was a considerable donation, and the hospital belonged to a reputed profit making chain that I think could clearly do without that funding. If only they had checked locally before making that grant, it could have probably been put to a much better cause that needed the funds much more. They also of course wanted considerable PR mileage out of the event, and that too was not possible, because no journalist would travel a couple of hours to come and see all the wonderful stuff that the hospital had done with the funds. All in all, it was quite a damp squib, and left everyone a little angry and helpless. Silly of the global Foundation to take calls on things like this sitting in New York, when they’ve never visited India in their lives, don’t you think? I thought it was a complete waste of time and money and energy! The secret of succeeding in a global environment clearly is finding strength in diversity. You have to be able to leverage the country talent, not just hand them instructions. Pick their brains, get their feedback, don’t just breathe policy down their necks. You’d be surprised at how much more effective your programs will be. Don’t forget they know their market better, the consumers better, the environment better, how can you beat that sitting in your remote office in some other country? Swati Bhattacharya, Vice President Corporate Communications at General Motors. She is a Marketing Communications strategy professional, with over 20 years of experience in Corporate Relations, branding, internal & external communications and market creation expertise in diverse ﬁelds such as Engineering, Technology, Retail and Auto sectors. Swati is one of the founding members of the Asia-Paciﬁc Association of Communication Directors. 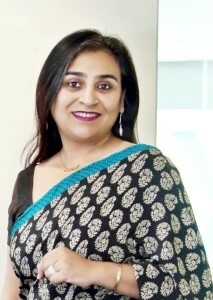 She is also the Honorary Regional Director at CASI (CSR & Sustainability Institute), a global certiﬁcation body for CSR and sustainability.Swati is also a Winner of the ABP News Women Super Achiever Award for Brand Excellence, supported by World Marketing Congress, CMO Asia and CMO Council USA and endorsed by Asian Confederation of Businesses. Swati serves as a director on the Board of GP GREEN ENERGY SYSTEMS PVT. LTD.
Constellar, the Astrum (www.astrum.in) blog is the new avatar of Ashwani’s personal blog Reputare. While continuing to explore and prompt a dialogue on the subject of reputation in all the sphere, Constellar has an expanded scope to guest contributors and thought leaders. As the headline suggests, we will endeavor to bring insights and new thinking in the development of professional reputation management in India. Very well put Ms Bhattacharyya..! A global brand dictating strategy to the local country unit is akin to a global superpower like the USA telling India to decide it domestic policy. The sooner a MNC understands and appreciates the silos where thinking global and acting local makes sense, the better chances they have of succeeding in these markets!